Beat This Caption Contest 89 Winner – Caption Contest Funny Clever Witty Enter Today! 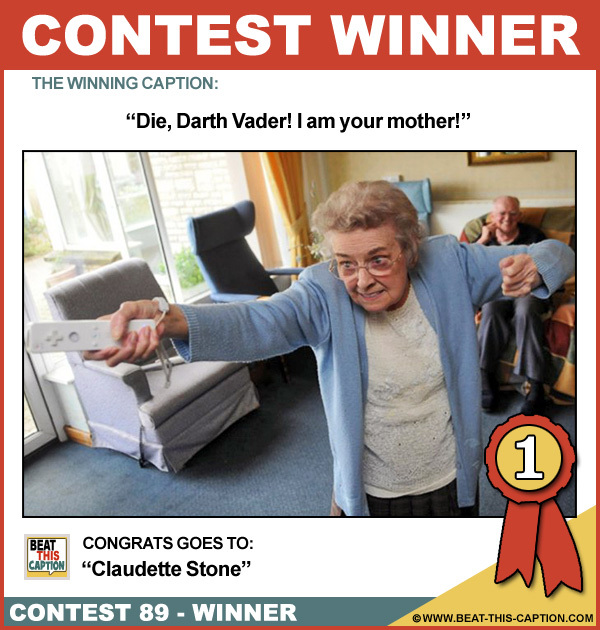 Die, Darth Vader! I am your mother! Great Caption! :) You WIN! Wii, Crap in our pants, edition! Elsie never could get her coat hangers out of the back of her dress! Edna took up archery after they cancelled the Pole Dancing program!